A [wiki]Barbarian[/wiki] checks out the [wiki]crafting[/wiki] options from this [wiki]NPC[/wiki] [wiki]Blacksmith[/wiki] [wiki]merchant[/wiki] in the [wiki]Caravan[/wiki]. What I don't like on the Crafting Interface is that there are no less than 6 different font types. The one that bother me is the "item name" font. Administrator I only see three. I think they could do with losing the font in the details of the of crafted item at the bottom. 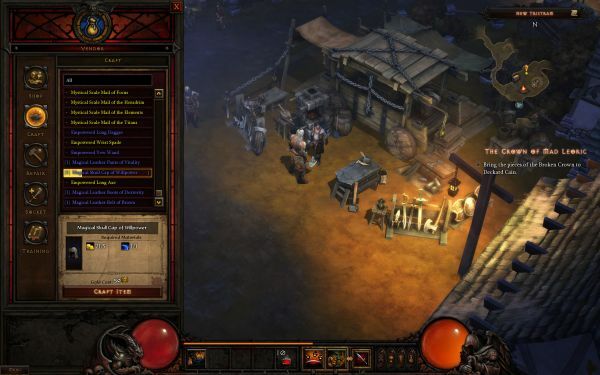 New to Diablo 3? Read this great primer.